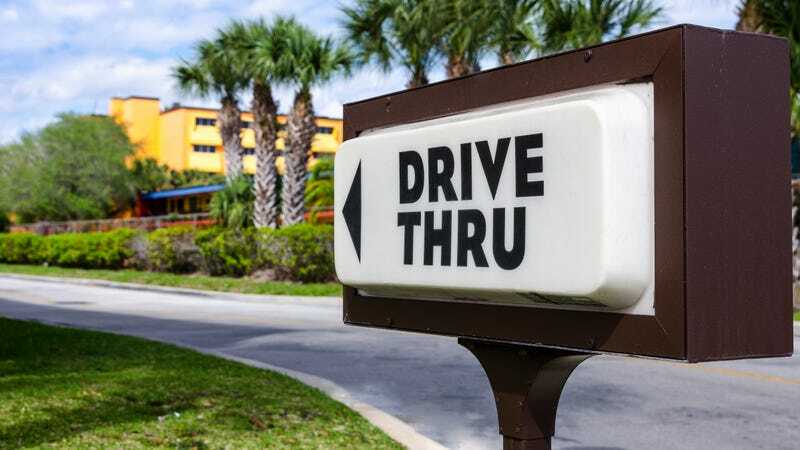 Sure, there are a lot of drive-thrus around, so we can see where people can get confused. Are we in line for a Starbuck’s or a Potbelly’s? Dry cleaner or car wash? That sort of thing. But a Long Island driver recently chose about the worst place you could choose while looking for a bacon, egg, and cheese sandwich and allegedly driving while impaired: a jail security booth, according to Time. The alleged culprit, 44-year-old Lizabeth Ildefonso “drove up to a security booth at Long Island’s Riverhead Correctional Facility and tried ordering a sandwich as if it were a drive-thru.” According to the Suffolk County Sheriff’s Office, Ildefonso attempted to order a bacon, egg, and cheese. So, breakfast. Hey, that’s healthy! Deputy Sheriff Yvonne DeCaro told the driver that “she was, in fact, not at a drive-thru but at a correctional facility. Ildefonso allegedly repeated her request for a sandwich.” Oh, man. Was a sobriety test even necessary at that point? Apparently it was, and Ildefonso “was charged with Driving While Ability Impaired and driving without a license.” The savvy deputy sheriff also stated “that the driver’s pupils were dilated, had glassy eyes, and had a white powder residue in her left nostril.” To quote last night’s UnREAL, do I look not-shocked, because that’s what I was going for. It must have at least made an easy workday for the deputy sheriff, though, to have an (alleged) offender just drive up to the jail like that.